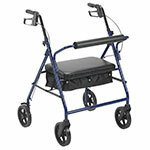 Make ADW Diabetes your choice for all your Rollator needs. You'll enjoy our fast delivery and shipping free shipping on orders over $89. You will find all the top brands like ProBasics and Drive Medical at discount prices only at ADW Diabetes. 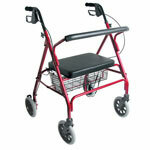 So browse through our wide range of Home Medical Equipment and durable medical supplies.